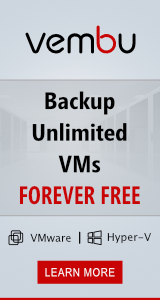 Searching a bit and checking the hosts and VM´s outside of VMM there was no issues on them and the logical switch and vnics was still there, the vm´s was able to reach the network so clearly a VMM issue. After reboot I refreshed the cluster and the network appeared again, I have been searching for a reason for the issue but have not found anything yet in the logs on either the VMM server or the hosts..
I’ve experienced the same on our R2 Cluster. 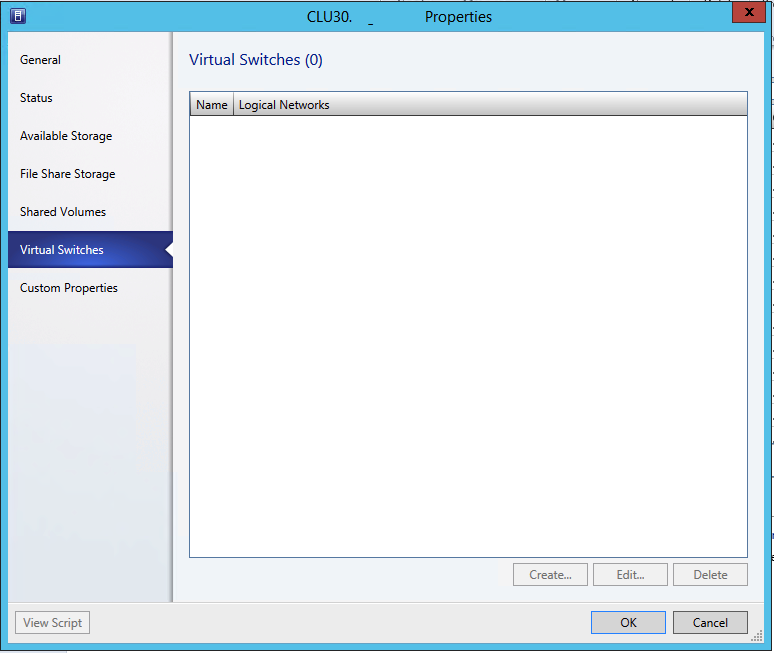 vSwitches were missing and refreshing Hosts/vms fixed the issue..
Had the same issue on a win 2012 cluster last week. Restarting the servers helped. We’ve experienced the same issue twice on Windows 2012 clusters, rebooting the hosts resolved the issue, but we’d like to find the root cause or permanent fix. We are experiencing the same problem and the only fix we have come up with is rebooting all hosts in the cluster. Had the same issue twice in the last month, pretty annoying. Had the same issue. Ended up being a cluster resource that was not removed correctly. 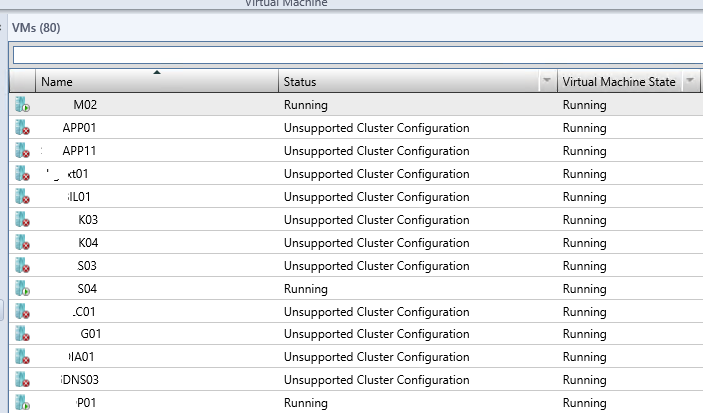 Once I cleaned up the cluster resource (for a deleted VM) the problem went away and VMM was able to refresh all hosts and VM’s.